Jennifer Lefebre, Psy.D., RPT-S, is a clinical psychologist and Registered Play Therapist – Supervisor. 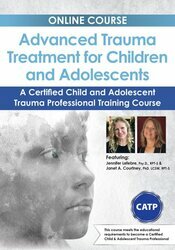 Her clinical and research interests center on the assessment and treatment of children, adolescents, adults and families whose lives have been impacted by complex trauma. She has extensive experience working with young children (0-5), adult survivors of severe childhood abuse and neglect, first responders, and combat veterans. Dr. Lefebre is the clinical director at Healing the Child Within, a holistic trauma center in northwestern Connecticut which integrates psychotherapy, yoga, and eastern philosophies into the treatment of complex trauma. She also provides clinical supervision and play therapy consultation throughout New England and online, and is an infant and early childhood mental health consultant. She has worked in residential treatment, psychiatric inpatient, community mental health settings, and schools, while teaching both at the undergraduate and graduate level and providing trainings around the country. She and has received specialized training in many modalities, to include Trauma Sensitive Yoga (TC-TSY), Trauma-focused Cognitive Behavioral Therapy (TF-CBT), Attachment, Regulation and Competency (ARC), Sensory Motor Arousal Regulation Therapy (SMART), Theraplay, and Parent Child Interaction Therapy (PCIT-A). She is working towards becoming an EMDRIA-approved consultant, and is an EMDR (Level II) clinician.